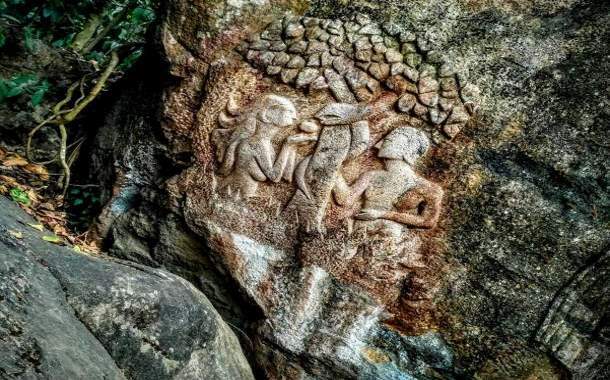 Nestled in the Wayanad district of Kerala, the Edakkal Caves are popular for its pre-historic rock engravings. Edakkal translates to ‘a stone in between’. This epic cave was formed by a heavy boulder straddling a fissure in the rock. These caves were discovered in 1895 by Fred Fawcett, Superintendent of Police of Malabar District during his hunting trip. 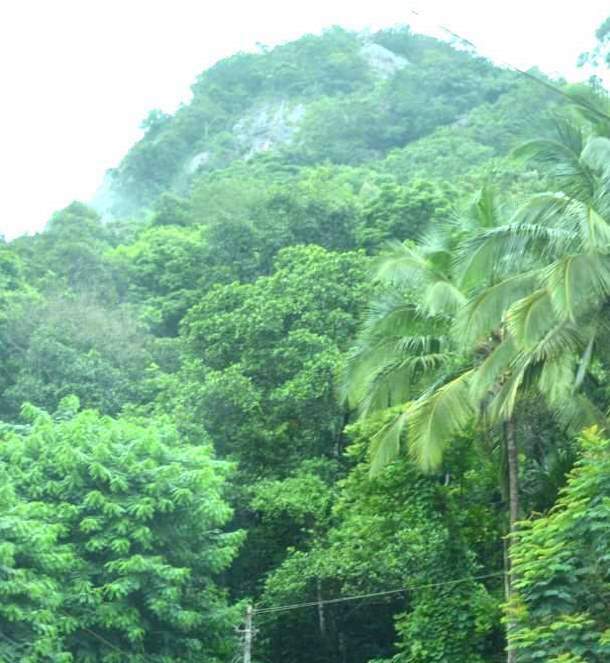 Approximately 12 km from Sulthan Bathery, this place offers breathtaking vistas of lush forests. 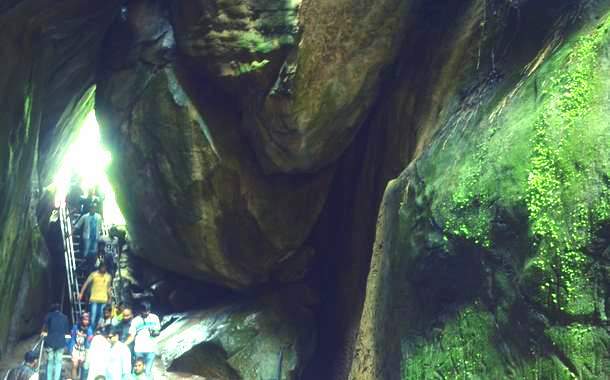 If you’re planning a holiday to Wayanad, we recommend you explore the Edakkal Caves. It is located at a height of 1000 metres, on the Ambukuthi Hill. Take in the aroma of coffee as you trek up the hill. Treat your eyes to the beautiful coffee plantations and jackfruit trees. It will take you from 45 minutes to an hour to climb this hill. 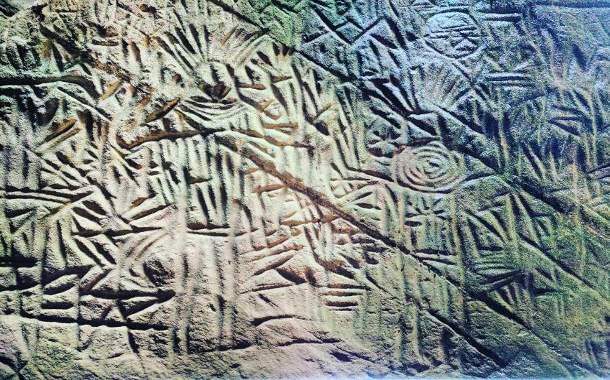 The pictorial writings on these rocks date back to at least 6,000 BCE, belonging to Neolithic Age. From weird shaped figures and spirals to animal and human figures, you’ll find them all engraved on the rock surface. According to studies, some of these carvings also belong to the Indus Valley Civilization. 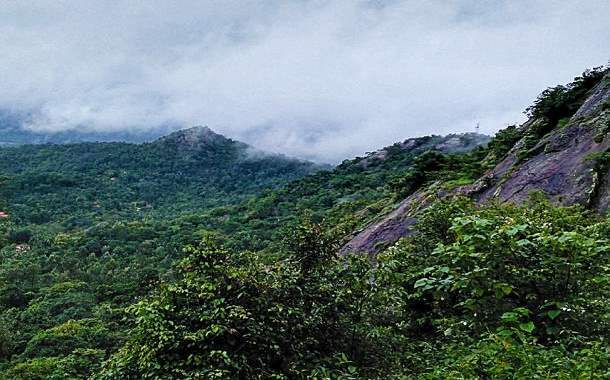 Once you reach the top of the Ambukuthi Hill, you’ll be rewarded with splendid views of the nearby mountains. 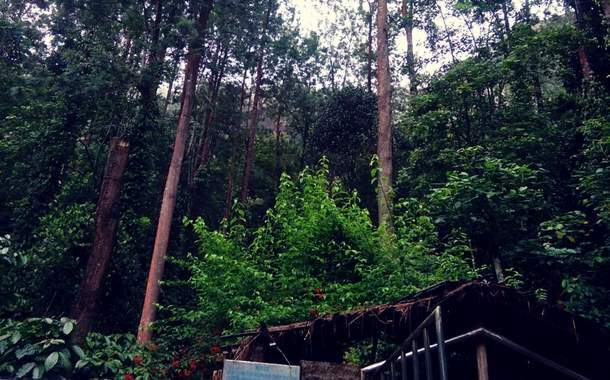 Take a break and savour the lush greenery before descending the hill. You’ll see people taking selfies or recording videos to share with their loved ones. On the way up to the caves, you’ll come across a shrine. It contains the carvings of Adam and Eve in the Garden of Eden; Satan disguised as a snake convinces Eve to eat the fruit from the tree of good and evil. After the hectic but fun excursion, tantalise your palate with mouth-watering omelette Pav or noodles at the nearby stalls. Relish your snacks amidst an eerie silence of the forest with intermittent whizzes from jungle insects. You’ll find small shops selling home-made chocolates, coffee and spices like cardamom, cinnamon and many more. Bring back souvenirs of your choice for your family and friends. The ticket price for adults is Rs. 30 and for children below 12 years is Rs.20. It is open on all days from 8am to 4pm except Monday. October to February is the winter season with temperatures between 10°C and 25°C making it ideal for sightseeing.